Welcome to the ninth edition of Sleaze Roxx Readers’ Top Twenty Albums! Recently, I had someone who has to come to know the Sleaze Roxx website inside and out describe it as a “nostalgia site”. At first, I disagreed with this description given the large amount of new bands that Sleaze Roxx has covered over the years. However, when you take a look at the Sleaze Roxx Readers’ Top 20 Albums of 2014, a large portion of the bands originate from the ’70s or ’80s, with one even from the late ’60s. Accordingly, there may well be some validity to the whole “nostalgia” description and admittedly, Sleaze Roxx has branded itself as “Your ’80s hard rock and metal resource”. Whatever the case, the reality is that Sleaze Roxx readers and hard rock / metal fans in general are loyal to their favorite bands and with the top spots for 2014 being claimed by Kix, AC/DC and Judas Priest respectively, that loyalty is more obvious than ever. This loyalty is even more transparent when you note that fifteen out of the twenty bands listed are returnees to the Sleaze Roxx Readers’ Top 20 Albums of the year and you have to think that Kix would have definitely been among the crop of returnees had the band released a prior studio record in the last ten years! There is only one band that released a debut record that cracked the Sleaze Roxx Readers’ Top 20 in 2014 and even then, it is difficult to consider Red Dragon Cartel as a truly “new” band with guitarist Jake E. Lee leading the group. Every year, there are always comments from Sleaze Roxx readers that such and such an album should have appeared in Sleaze Roxx’s Top 10 Albums of the year. In a way, the Sleaze Roxx Readers’ Top 20 Albums of the year is a way to rectify any such omissions. 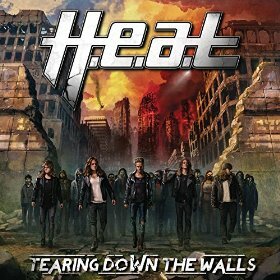 This year, only four records (Kix, Steel Panther, H.E.A.T. and Sister Sin) find themselves on both lists which simply suggests to me that 2014 has been a banner year for hard rock and metal album releases. p.s. : Thank you to Sleaze Roxx writer Mark Hovarth who provided some portions of the write-ups below. For the first time ever in the history of Sleaze Roxx, a band has achieved the top spot in both the Sleaze Roxx’s Top Ten Albums of 2014 and the Sleaze Roxx Readers’ Top 20 Albums of 2014! And it is not just any record that gets this distinction but Kix‘s first album in nineteen years, which is a return to the band’s vintage sound from the 80s. 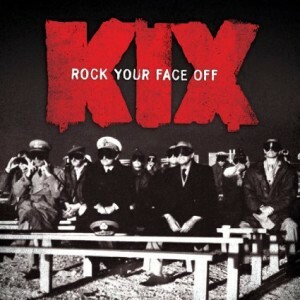 What makes Kix‘s number one sweep in both categories so incredible is that for the first time ever in Sleaze Roxx’s history, the two best of lists for the year were conducted completely independent of each other given that departing Sleaze Roxx editor Skid compiled the Readers’ Top 20 Albums and released it to me after Sleaze Roxx’s Top Ten Albums for 2014 was decided. 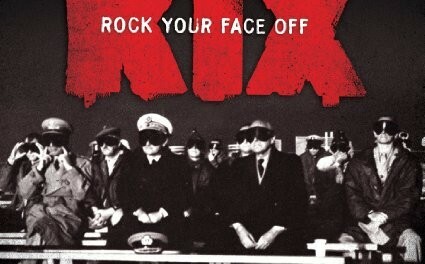 You would think that achieving both critical and popular acclaim would translate into mega sales for Rock Your Face Off but Kix‘s frontman Steve Whiteman recently revealed to Sleaze Roxx in an interview that the changed landscape in the record industry has translated into far fewer record sales than the band was used to back in its heyday. 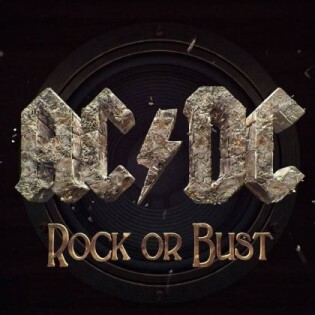 With Malcolm Young no longer able to continue and the band being given his blessing and encouragement to continue, it is great to see AC/DC back with what has to be considered another classic judging from the #2 album rank that the Aussie group reached via the Sleaze Roxx readers. The band actually credits Malcolm Young with the songwriting so we know there were probably a lot of unused riffs and choruses that were in AC/DC‘s vault for them to be able to produce another album with their classic signature sound. Will this be the last AC/DC studio record? Hopefully not because if the Sleaze Roxx Readers’ Top 20 Albums is any indication, there are many AC/DC fans out there who believe that the aging rockers are still able to produce some great music! 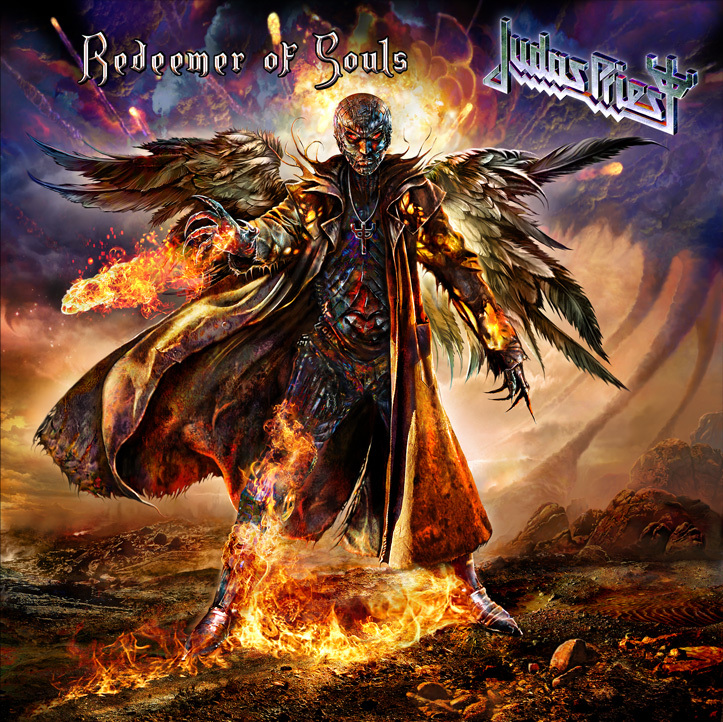 After the experimental Nostradamus, Judas Priest are back screaming with a vengeance with Redeemer Of Souls. The album proves that the heavy metal veterans are more than capable to carry the heavy metal torch more than 40 years after beginning their musical journey. Given that the Sleaze Roxx Readers’ Top 20 often features many big name bands, it is no surprise to see Judas Priest at the #3 spot for 2014. Tracks such as “March Of The Damned”, “Battle Cry”, “Dragonaut” and “Halls Of Valhalla” clearly demonstrate that there is a lot of gas left in the Priest tank. 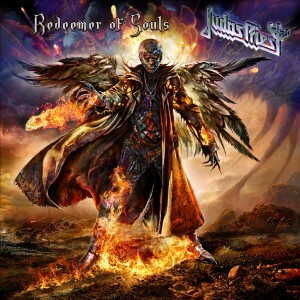 The great news is that the addition of guitarist Richie Faulkner and the success of Redeemer Of Souls seem to have rejuvenated Rob Halford and company who reportedly will be entering the studio in early 2016 to record a follow up album. 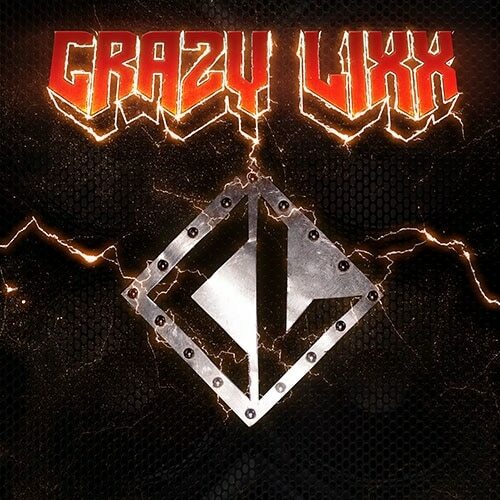 Why isn’t Crazy Lixx‘s self-titled record not in Sleaze Roxx’s Top 10 Albums of 2014? That was a question that came up a number of times when Sleaze Roxx’s top album list was recently released. Clearly, Sleaze Roxx readers really like Crazy Lixx‘s latest album because it was voted at #4 for the year. In fact, Crazy Lixx have been one of Sleaze Roxx readers’ perennial favorites since the band has landed anywhere from the #3 to #6 spot on four of the eight renditions of Sleaze Roxx Readers’ year end top album list. 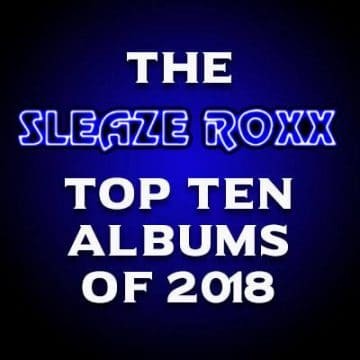 Based on the glowing review that Sleaze Roxx’s former editor Skid gave Crazy Lixx, I suspect that the album would have also made the Sleaze Roxx’s Top Albums of 2014 had Skid compiled the list. Whatever the case, Crazy Lixx have proven to resonate with Sleaze Roxx readers time and time again, and the group’s latest offering is no exception. Keep it simple stupid. 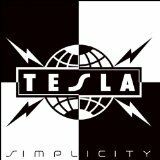 These words of wisdom were definitely embraced by Tesla who came up with another solid studio record to add to their legacy as one of the most consistent bands when it comes to pumping out good studio records. Tesla have not reinvented the wheel with the aptly named Simplicity but rather gone with the tried and true which has clearly resonated with Sleaze Roxx readers. It is no surprise that the top five records in the Sleaze Roxx Readers’ Top 20 Albums of 2014 feature four out of five bands that started in the 80s or earlier which strongly suggests that new bands still have an uphill battle before they will be dethroning veteran bands such as Tesla in the eyes of Sleaze Roxx readers. You know Axl Rose is secretly kicking himself after witnessing the success of Slash‘s band and the numbers he brings on tour is starting to come close and maybe even surpass Rose‘s Guns N’ Rose (yes that was a deliberate typo). 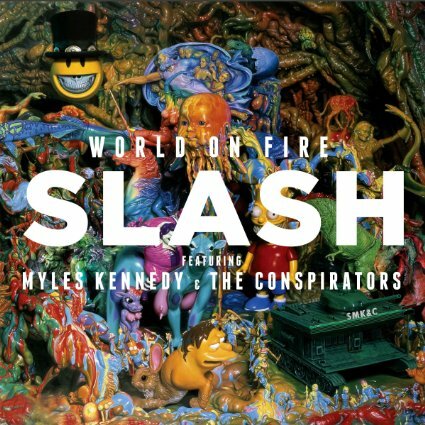 With World on Fire, Slash brings a maturity to his songwriting that surpasses his old Snakepit compositions while maintaining shades of Guns N’ Roses‘ ferocity and sleaze. If you doubt that just give “Dirty Girl” a listen… Big kudos to the squeaky clean pipes of Myles Kennedy who makes singing hard rock and hitting those high notes just seem so effortless. 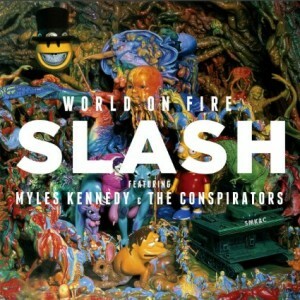 Slash has proven that he does not need Rose to experience mainstream success and with Kennedy handling lead vocal duties, the sky is the limit for Slash featuring Myles Kennedy & The Conspirators! 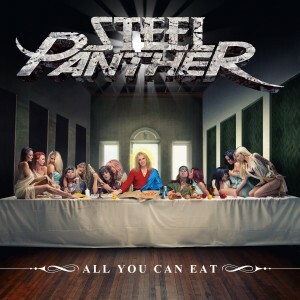 Love them or hate them, every year that Steel Panther release a studio record, they always rank very high in the Sleaze Roxx Readers’ Top 20 Albums of the year. 2014’s list sees Steel Panther slipping to #7 after a #3 finish in 2009 with Feel The Steel and a #2 rank in 2011 with Balls Out. 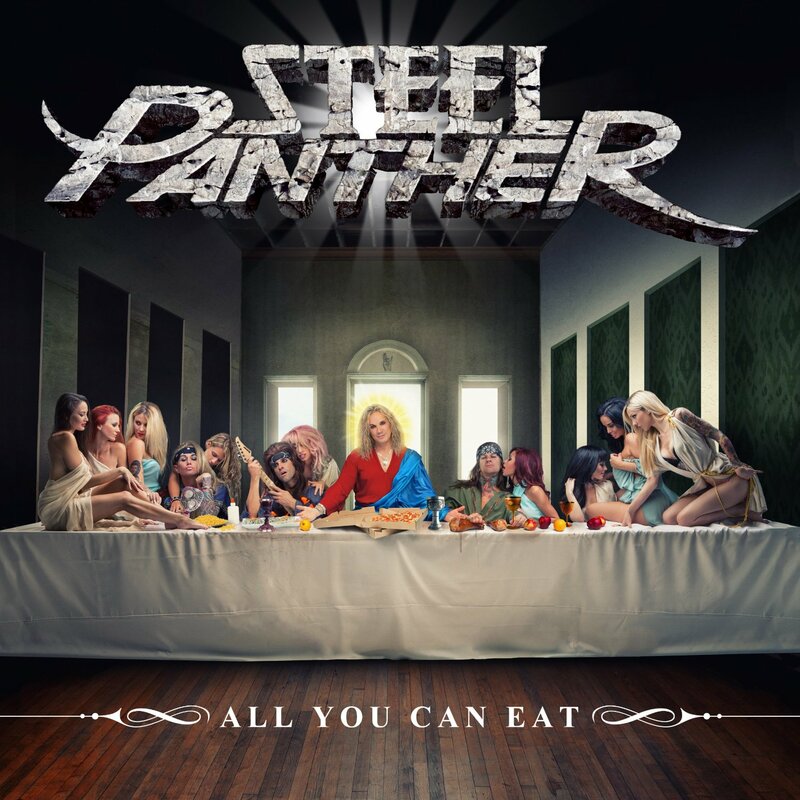 This can most likely be attributed to the number of releases from “veteran” bands rather than anything else given that Steel Panther have stuck with their winning formula in terms of songwriting on All You Can Eat. Steel Panther may have their share of naysayers given their comedy shtick but there is no denying that the band comes up with great songs time and time again on every studio record that they release. Not surprisingly, H.E.A.T.‘s latest studio record Tearing Down The Walls has resonated with Sleaze Roxx readers. I actually picked up Tearing Down The Walls only because it was receiving one glowing review after another from critics and fans (including Sleaze Roxx readers) alike. With the addition of Swedish Idol winner Erik Gronwall, H.E.A.T. have moved to another level in coming up with great melodic rock. Right now, the Swedish band seems to be on an upward ascent that shows no signs of slowing down. It will be very interesting to see how and whether H.E.A.T. will be able to follow up Tearing Down The Walls but one thing is certain, when you have as much talent as the H.E.A.T. guys do, nothing is impossible. More than 40 years after having commenced his legendary career with KISS, Ace Frehley is still putting out music that resonates with many listeners including the Sleaze Roxx readers. Say what you will, there is only one Ace Frehley with his signature guitar sound. 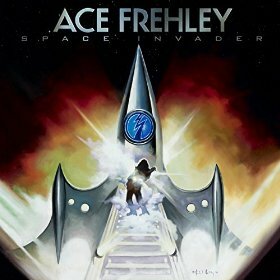 I will go on a limb and say that Space Invader is not the Space Ace’s finest work but any material from the talented guitarist is always welcome. Frehley will apparently be coming out with a covers album by the end of 2015 so it will be interesting to see whether Sleaze Roxx readers embrace and stay as loyal to the Space Ace with his forthcoming covers album. Given that Winger‘s Karma landed the #2 overall spot in the Sleaze Roxx Readers’ Top 20 Albums of 2009, having Better Days Comin’ rank at #10 could signal that Winger‘s latest studio record was a bit of a disappointment. Or it could simply be that competition was that much tougher in 2014 with many big name “veteran” bands releasing studio records. 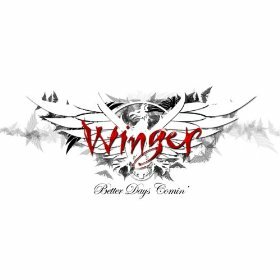 With Better Days Comin’, Winger showcase a lot of variety with their songs including the funky and moody title track, the metal anthem “Rat Race” and the expected ballad “Be Who You Are Now”. With more and more band members playing in and juggling multiple bands, it was nice to see guitarist Reb Beach be able to partake in Winger during Whitesnake‘s down time. 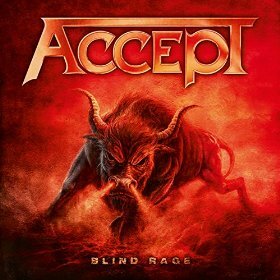 Accept‘s Blind Rage was initially going to be part of the Sleaze Roxx’s Top Ten Albums of 2014 but was finally excluded at the last minute. The German rockers’ newest release narrowly misses the Sleaze Roxx Readers’ Top 10 Albums for 2014 as well but does take the #11 spot. Since recruiting powerhouse singer Mark Tornillo, Accept have rejuvenated their career with one stellar album after another. Blind Rage is Accept‘s third studio effort with Tornillo and sees the band continuing with the formula from its two previous studio efforts Blood Of the Nations and Stalingrad. Despite recently replacing drummer Stefan Schwarzmann and guitarist Herman Frank, Accept‘s core of guitarist Wolf Hoffmann, bassist Peter Baltes and Tornillo is intact and the group shows no signs of slowing down anytime soon. 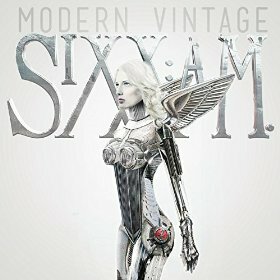 Sixx:A.M.‘s Modern Vintage is the highest charting record in the Sleaze Roxx Readers’ Top 20 Albums of 2014 for which no review was done on Sleaze Roxx. Sometimes artists disagree with their fans and go off and do their own thing. Sometimes the authors of a music website will disagree with their readers. Retaining next to nothing of what made his first band mega-famous, Nikki Sixx has chosen to create radio-friendly, safe and dare we say it… boring songs. Who on earth would really be interested in Sixx:A.M. if they didn’t know it was a project from Sixx and to a lesser extent DJ Ashba? Nevetheless, Sleaze Roxx readers have spoken and apparently are more than willing to follow Sixx in what is turning out to be his main post-Motley Crue project once the Crue‘s final tour will finally end. If you don’t count Kix as a first timer in the Sleaze Roxx Readers’ Top 20 Albums of the year given that the Maryland based band would have likely charted in prior years had they released a studio record, the highest charting first timer honour goes to Swedish rockers Confess. Although the group’s album Jail was reviewed on Sleaze Roxx, I admit that I (sadly) inexplicably bypassed that record until I saw that Confess — out of nowhere — had landed the #13 spot in the Sleaze Roxx Readers’ Top 20 Albums of 2014. I can tell you that I listened to one song off Jail for less than 30 seconds in a very noisy fast food joint before purchasing that record online. 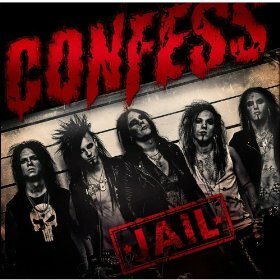 Quite simply, Confess‘ Jail sounds amazing from the little that I have heard and I fully understand why Sleaze Roxx readers have voted the album from a relatively upstart band so high. 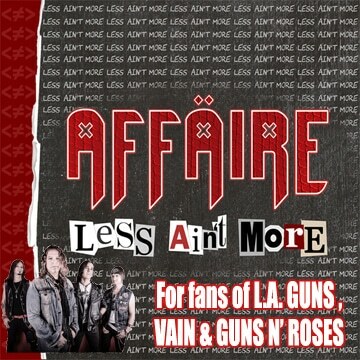 Just like Confess, this is another album that I did not get the chance to listen to in 2014 but that I took notice of once I realized that it landed at #14 in the Sleaze Roxx Readers’ Top 20 Albums of 2014. Italian rockers Hell In The Club have already charted in both of Sleaze Roxx’s best of lists in 2011 so it should not be surprising to see them again this time around. Again from re-reading my predecessor Skid’s review of Devil On My Shoulder, I suspect that the album might have well landed in his top 10 records for 2014. 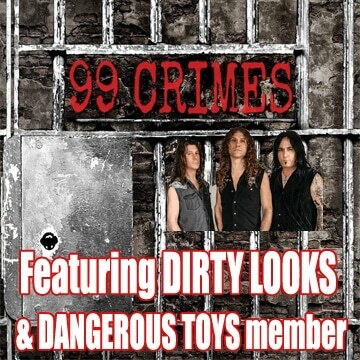 Hell In The Club play a catchy brand of melodic hard rock that has certainly resonated with Sleaze Roxx readers. 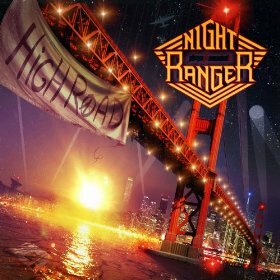 Night Ranger‘s High Road is the second record on the Sleaze Roxx Readers’ Top 20 Albums of 2014 that did not receive a review on Sleaze Roxx. Historically, Night Ranger have never received that much coverage from Sleaze Roxx so this is not a big surprise. 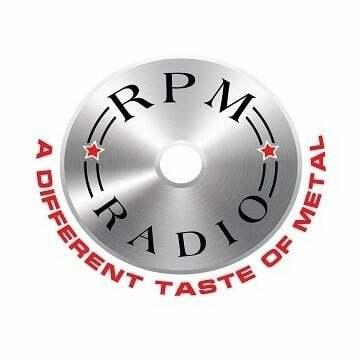 Perhaps this is due to Night Ranger playing what has to be considered hard rock sometimes bordering on pop rock. Nevertheless, there is no question that Night Ranger are good at what they do and songs such as the title track and “Knock Knock Never Stop” are very catchy and enjoyable to listen to. It is expected that Night Ranger will continue to deliver their consistent brand of hard rock for some time to come even with the surprise departure of guitarist Joel Hoekstra to the Whitesnake camp in August 2014. 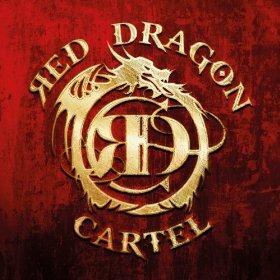 Can Red Dragon Cartel really be considered a “new” band? With guitar maestro Jake E. Lee finally ready to tour for the first time in a very long time after years of hibernation, he needed something to tour behind and what better way than to form a group and have it release a debut record. Red Dragon Cartel‘s self-titled record is a bit different than your usual album given that Lee recruited many different guest vocalists from former Iron Maiden singer Paul DiAnno to Cheap Trick‘s Robin Zander but at the same time, there was an “official” lead vocalist in the talented Darren James Smith. Although the now almost laughable revolving doors of lead singers is no doubt tarnishing Red Dragon Cartel‘s possible legacy, there is no question that the band’s self-titled debut record is a solid mix of modern music meets vintage Lee guitar licks. 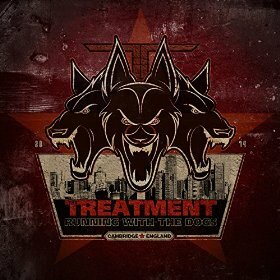 Another first timer to the Sleaze Roxx Readers’ Top 20 Albums of the year is The Treatment. While this might be their first time on this list, it is not a surprise because the English rockers have delivered with Running With The Dogs an album shock full of great melodic, simple and yet heavy rock songs. Just like with Crazy Lixx‘s self-titled record released in 2014, I have to think that my predecessor Skid would have chosen Running With The Dogs as one of his top albums for 2014 based on his glowing review of the record. It will be interesting to see whether The Treatment are able to successfully follow up Running With The Dogs because with such a good album, there is seemingly only one way to go and that is (hopefully not) down. 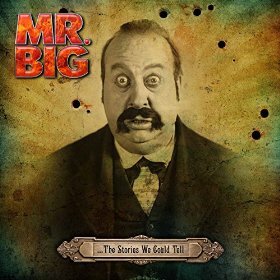 Mr. Big‘s The Stories We Could Tell is the third record on the Sleaze Roxx Readers’ Top 20 Albums of 2014 that did not receive a review on Sleaze Roxx. I am not sure why that is because Mr. Big fit well within the scope of the website but for whatever reason was bypassed this time around. Sleaze Roxx readers did not forget about Mr. Big once again since this is the second release from the group to land in the Sleaze Roxx Readers’ Top 20 Albums of the year after 2011’s What If… Clearly, Mr. Big have a strong following and have proven that they can still produce relevant and solid music. This is no surprise when you look at the talented cast that make up the band. 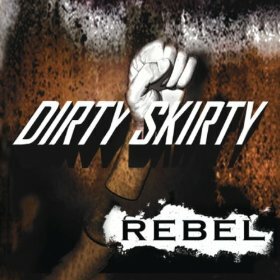 Dirty Skirty is an interesting example of a band that should not give up too soon. By the time that my predecessor Skid reviewed Dirty Skirty‘s debut record Long Live Rock N’ Roll in 2010, the band had already broken up. Nevertheless, Sleaze Roxx gave a favourable review to Dirty Skirty‘s debut album and before you knew it, sales started escalating, the band reformed and has been going strong ever since — or so the Sleaze Roxx legend goes. Whatever are the reasons that caused Dirty Skirty to reform, it is great to see Sleaze Roxx readers embrace the sleazy rockers from beautiful sunny Florida and show their support of the group’s sophomore effort Rebel — which admittedly is worthy of such support. This is the third studio record in a row from Sister Sin that lands in the Sleaze Roxx Readers’ Top 20 Albums of the year which is both a testament to the Swedish rockers’ consistency in producing great music and the large following of Sleaze Roxx readers that the band apparently has. 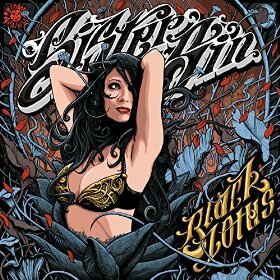 Black Lotus sees Sister Sin coming up with arguably harder sounding material but at the same time taking a few chances just like on Now And Forever. Led by the incomparable female front woman Liv Jagrell, Sister Sin show no sign of slowing down and are “In It For Life”. Based on the group’s track record, it will not be a surprise by any means to find Sister Sin in Sleaze Roxx’s year ending lists again once the band comes up with another studio record.